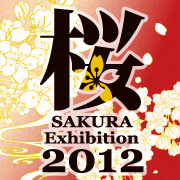 Grand Prize "SAKURA" will be selected from works on the theme of SAKURA, based on votes by visitors. In case of customizing, the winner is requested to pay the balance. Mr. Fuyuhiko Yamamoto, a well-known “art sommelier,” will select one from all the entry works for Fuyuhiko Yamamoto Prize as a special judge prize. 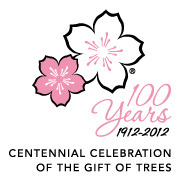 What to be presented will be announced soon. Tokyo Lithmatic Corporation will present “100 postcards to be printed on demand in high quality six colors” to a winner of Tokyo Lithmatic Corporation Prize. ART SPACE will present A1-sized giclee panel to a winner of ART SPACE Prize. gr@phic will present A0-sized Tapestry as gr@phic Prize to a winner. Liquitex Prime 24-color set will be presented to a winner of Liquitex Prize from bonnyColArt. A set of colors will be presented to a winner of holbein Prize from holbein. A prize-winning work is to be selected from entry works painted in analog colors. portalgraphics.net will present openCanvas to a winner of openCanvas Prize. "ComiLabo" will be presented to a winner of ComiLabo Prize from portalgraphics.net. As Illustrators Tsushin Prize, Illustrators Tsushin will present to a winner one-year membership and one-time appearance in the booklet free of charge. ARTs*LABo will present a right to participate in group exhibition to be held by ARTs*LABo without charge to a winner of ARTs*LABo Prize. Atelier Hyouga will present a privilege of making original goods to a winner of Atelier Hyouga Prize. AYANE International Inc. will present translation ticket equivalent to 30,000 yen from Japanese to English (from English to Japanese if requested) to a winner of AYANE Prize. As LA JAPAN Prize, LA JAPAN will introduce three artists and sell their goods including posters worldwide online. As NORBERTELLEN GALLERY Prize, NORBERTELLEN GALLERY will invite a winner to a group exhibition to be held in 2012. 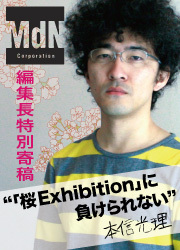 As Gallery MUJO Prize, Gallery MUJO will invite a winner to a group exhibition to be held in 2012. Other awards will be announced as soon as fixed.